Wang Meng was labelled by the great Ming critic Dong Qichang as one of the Four Masters of the Yuan Dynasty (1279-1368). The artist was deservedly celebrated during his life with Dong Qichang’s accolades that encourage later audiences to regard Wang Meng as a virtuoso of brushwork. This presentation will reclaim some of the complexities of Wang Meng’s paintings and situate them in the context of the Yuan Dynasty. It will offer a close reading of his painting entitled Spring Tilling at the Mouth of a Valley to explore the ways in which Wang signalled his preoccupation with many types of labour, not only as a man of culture, but as a farmer, householder, scholar, recluse and official. In Dr Hammers’ interpretation, Wang Meng invites viewers to engage with the artist in an array of his productivity. After gaining insight into meanings present in Wang Meng’s work, the presentation turns to consider the reception of this Yuan artist during the Republican era. Huang Binhong was particularly enthralled with Yuan painting and its role in the formation of Chinese modern art. The talk concludes with an evaluation of Huang’s interpretation, both pictorially and textually, within its historic context. We can appreciate the ways in which paintings serve as sources of inspiration that possess great potential for unending interpretations. 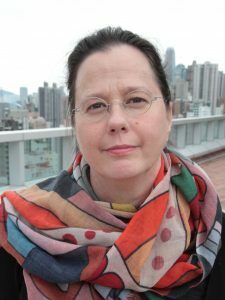 Dr Roslyn Lee Hammers is an Associate Professor at the University of Hong Kong in the Department of Fine Arts. A specialist in Chinese painting, her research interests include representations of labour and imagery with scientific or technological content. She has written Pictures of Tilling and Weaving: Art, Labor, and Technology in Song and Yuan China (2011, HKU Press) and has published articles on other aspects of the representation of labour, techniques, and tools in visual culture from the Song to Qing eras. She is presently working on a book-length manuscript entitled Ennobling Labor: The Imperial patronage of the Pictures of Tilling and Weaving in eighteenth-century China.